March 31, 2016, the day otherwise known as Model 3 Mania drew thousands of eager Tesla enthusiasts worldwide who lined up during predawn hours at their local Tesla showroom, in hopes to become one of the very first to reserve Tesla’s highly anticipated mass market sedan. Many went as far as to camp out overnight in front of the storefront to get an early jump on placing their $1,000 reservation deposit when stores opened the following day. 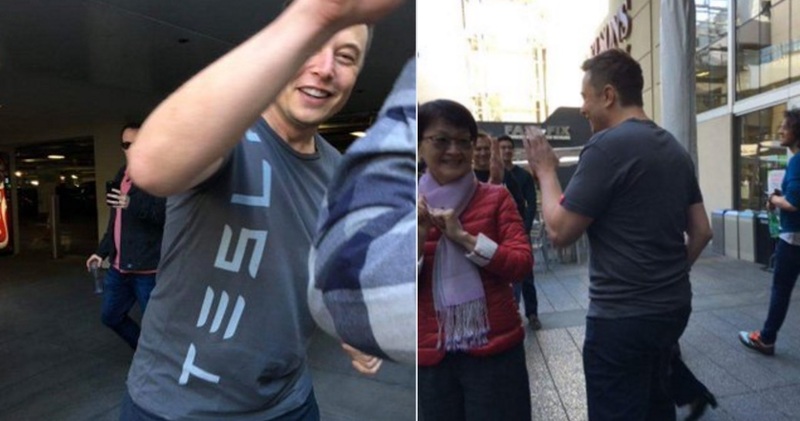 The day of Model 3 Mania also saw Elon Musk making a surprise visit to the Century City Tesla Store and giving high fives to the hundreds of eager Model 3 reservation holders that were waiting in line. 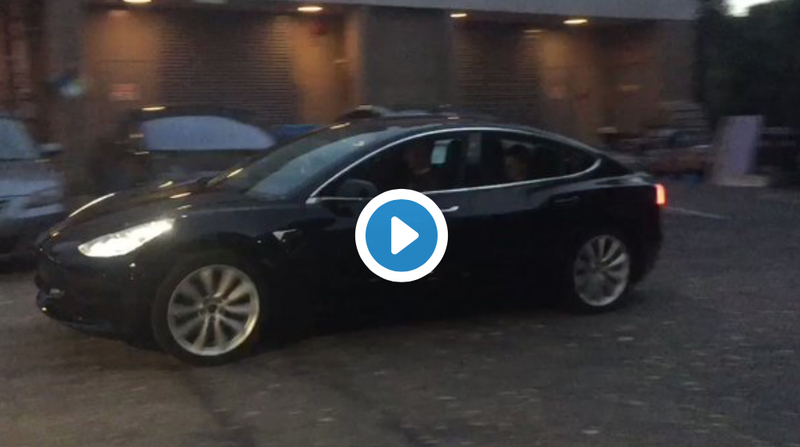 What followed that evening was Tesla’s official Model 3 reveal event. Invited guests were given the opportunity to test ride in the Model 3, but also witness arguably the most significant product launch in automotive history. Now, one year later and with a presumed reservation count well north of 400,000 vehicles, Model 3 is set to take stage again at Tesla’s final ‘Part 3’ launch event. We’ve outlined some of the milestones Tesla has been able to achieve for Model 3 in the short year following the vehicle’s debut. Release Candidate video – The most recent Model 3 teaser came in the form of a video that Elon shared via Twitter. No new details were revealed other than the fact that this was the closest near production-ready Model 3 we have seen thus far. 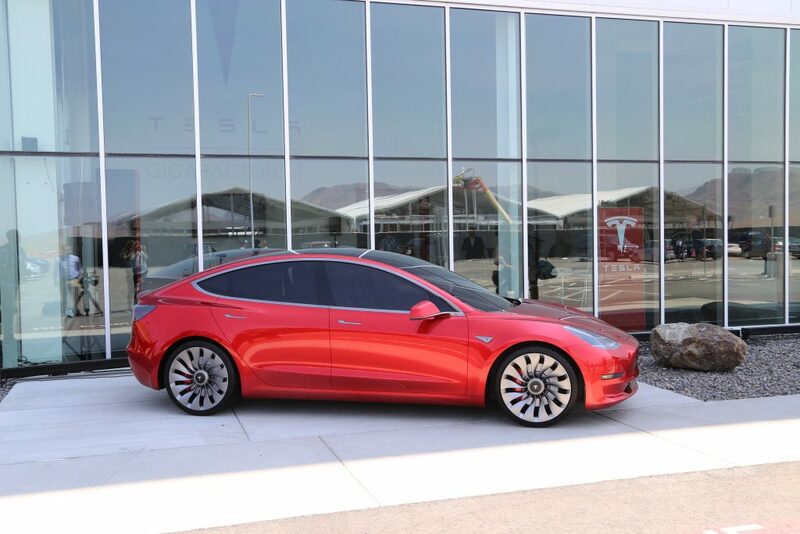 In true Tesla form, the release candidate looks similar to the vehicle the company showcased on March 31st of last year. There doesn’t seem to be any major updates on the aesthetics of the car other than a slightly revised nose. Right Hand Drive Model 3 – Elon confirmed over Twitter that right-hand drive Model 3 won’t be arriving until the summer 2018. Dual motor all-wheel drive option arriving later – Initial production run will be for the rear-wheel drive Model 3 with all-wheel drive models following 6 to 9 months after. It was communicated that this is to keep production as simple as possible from the outset. Battery Size estimates – Model 3 battery will max out at 75kWh and have likely a 300+ mile range based on the current physical limitations of the chassis size. Capital raise in preparation for Model 3 – Tesla kicked off another capital raise to rake in an additional $1.3 billion ahead of the start of Model 3 production. This was in addition to a $2 billion stock sale several months back. Warehouse Expansion – Tesla signed a lease for 1.3 million square feet of warehouse space northeast of the Fremont factory. We expect that this warehouse will be used to store battery pack inventory moving from Gigafactory 1 in Spark, Nevada to the Fremont factory. 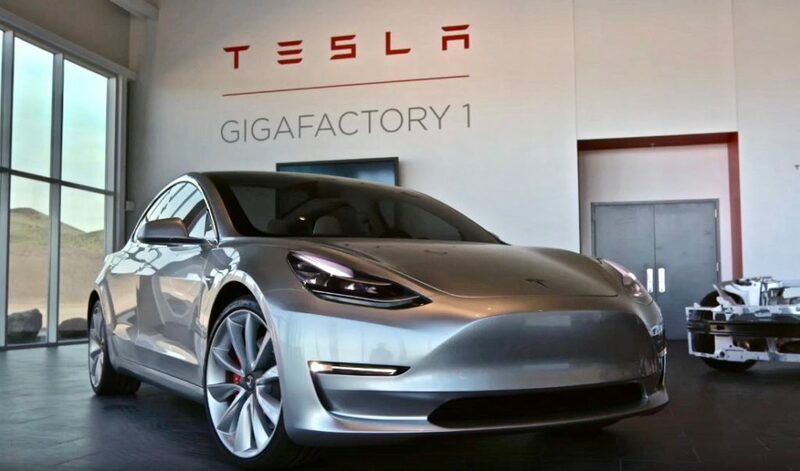 Gigafactory starts Model 3 battery cell production – Gigafactory 1 will begin production of Model 3’s high performance ‘2170 cell’ in Q2. Tesla is currently mass producing 2170 lithium ion cells for the company’s commercial and home battery storage systems. Heads Up Display – Model 3’s gauge-less cluster has led many to believe that Tesla had plans for a HUD. However, that was quickly put to rest after Elon confirmed over Twitter that Model 3 will not have heads up display. Supercharging congestion a concern in advance of Model 3 – Model 3 will add a significant number of Tesla vehicles to roads around the world, leaving many to wonder about the type of impact this will have on the Supercharger network. Mainly, how long do I need to wait before I can charge? Tesla addressed these fears by implementing a new annual cap on Supercharging for all owners that purchased a Model S or Model X this year. 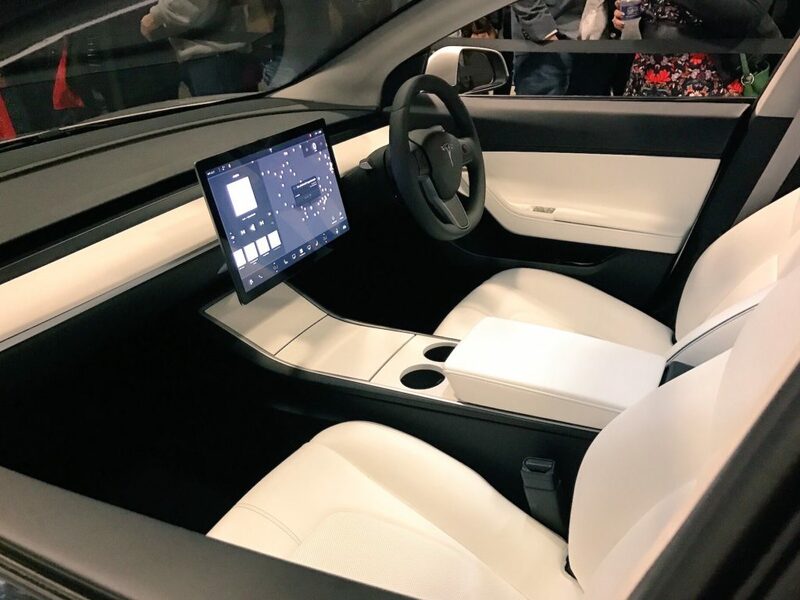 Model 3 Ludicrous Mode – For the performance junky out there, Ludicrous mode will indeed be available for Model 3, though Elon did note that it’s not going to be as fast as Model S.
All eyes are on the start of production for Model 3 that’s scheduled to take place in July. Employees will have the ultimate first shot at taking delivery of a new Model 3. Happy 1 yr old birthday Model 3 Mania.